When visiting south Wales recently, my mum and I went for a stroll on a beautiful beach where the tide was far, far out. 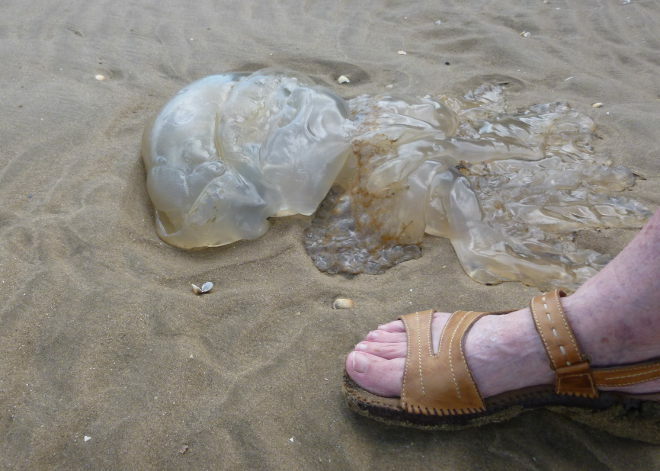 After ambling about for a time, we suddenly spotted a jellied mound in a shallow pool – a gigantic dead barrel jellyfish. 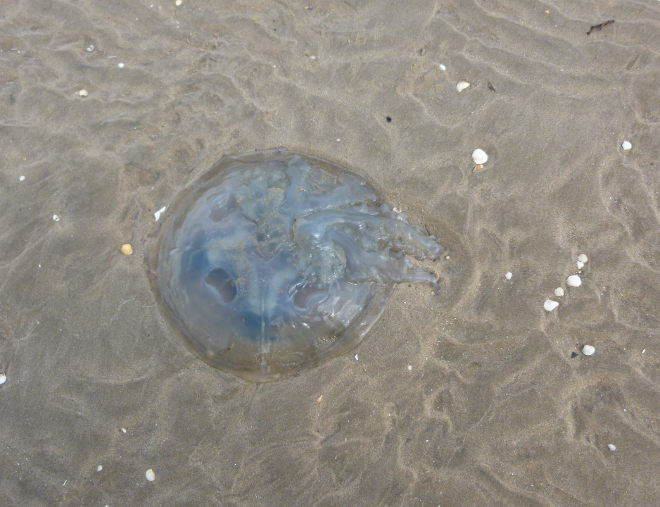 Then we saw one on the sand, and another. They were all over the shore, stranded and alien. Here’s another with Mum’s foot beside it for scale. Imagine encountering an invasion like this. What could have caused it? What might be coming next?